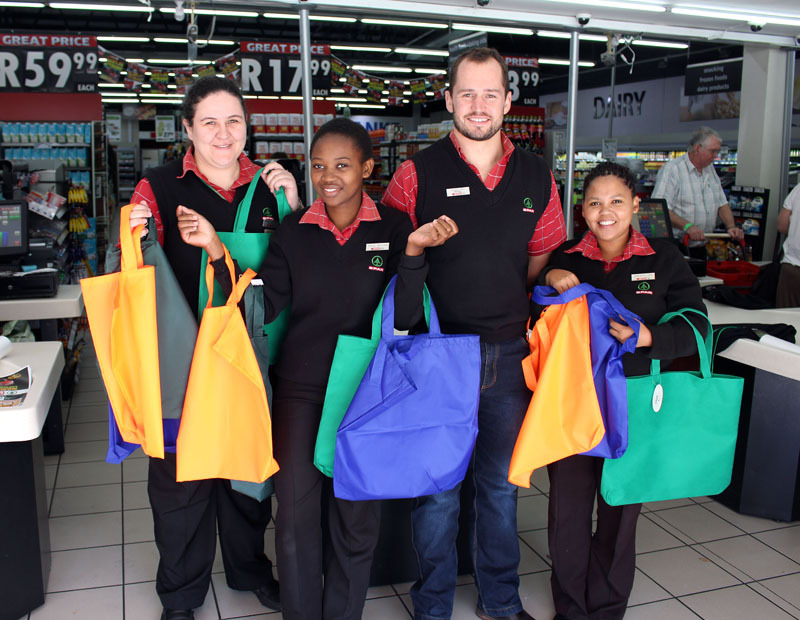 20 May will be Montagu SPAR's first 'No Plastic Bag Day' and they are hoping that members of the public will join them in this initiative by bringing along their own reusable shopping bags on the day. "We really hope that our customers can in time get into the habit of bringing along their own - environmentally friendly - shopping bags when shopping. Unlike popular belief, most supermarkets do not consider the stocking and sale of plastic bags as an income-producing exercise. We would much rather not go through the hassle of having to stock them", says Zander Smit, manager of Montagu SPAR. "Some supermarkets may reason that it is an easy and handy way to advertise their brand, but judging by the many plastic bags that get scattered and lie around in the environment, I would much rather not see our SPAR name emblazoned on a bag blown up against a wire fence or lying in a gutter somewhere. That is not the image we are after!". Please Diarise Wednesday, 20th of May when Montagu SPAR hopes to sell no - or very few - plastic bags on the day!